I'm a games programming student at a multimedia college (SAEQ) in Sydney Australia. I discovered Playmaker's Windows Store beta in time for the last of the 3 games, and my gosh it sped up development! Alex @ Huntong Games even fixed a bug for me in the framework in a few hours. Champion. In order to qualify for the competition I need to get downloads. If you have 5 mins spare and a Windows 8 computer, It'd be swell if you'd download my games and even give em a quick play. 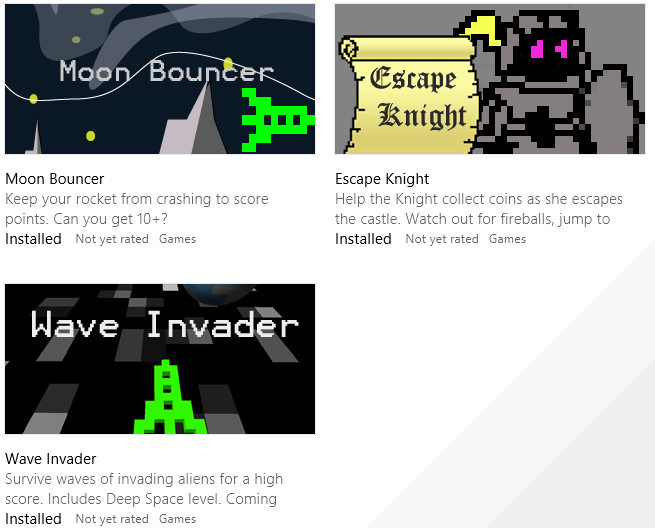 Nothing fancy but 3 fun little arcade games made quick!